When you think of dreaming, you may not immediately picture numbers, but sometimes digits do appear in dream images. 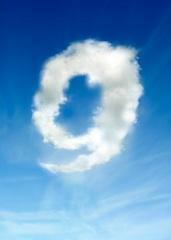 If you've been dreaming in numbers you may wonder, "What does the number 9 in a dream symbolize?". Judgment: The actions you take always come back to you (karma). Renewal: The number could represent the cycle of life or the repetition of history. Beginnings: Although many changes have occurred, you return to the beginning. The Savior died on the cross on the ninth hour. On the ninth of Av, the First Temple of the Jews was destroyed and on the same day, five centuries later, the Second Temple of the Jews was destroyed. Some Hebrew writings say that God descended to Earth nine times. Personal beliefs are integral to dream interpretation, but each of these elements are interesting to explore, no matter what your beliefs. The circle of life can be an important factor in the symbolic nature of the number nine, and some cultures show this. Every nine years, the Romans held a feast to remember their dead. The ninth day was the end of the formal mourning period for ancient Hellenic burial rites. So what does the number 9 in a dream symbolize? If you look at the cyclical nature of the number, many possibilities arise. People experience significant changes in their lives, but patterns often exist throughout. The number nine in dreams may symbolize the constants in your life; those aspects that remain the same in spite of change. Are you seeing the number nine after putting forth great effort on an endeavor, or doing a good deed? Perhaps your dream is helping you work through the subconscious desire to see a positive outcome equal to your input. On the other hand, the number may represent apprehension for getting payback for a bad deed. The number may show up in dreams representing renewal or rebirth. Perhaps you have just recovered from a serious illness, or you have been given a second chance in a relationship that is dear to you. Maybe a recent epiphany has changed your outlook on life, and the unconscious is literally figuring it out. The notion that nine can represent going back to the beginning can be a double-edged sword. On one hand, it is comforting to return to the familiar; on the other hand, it can represent a fear of yielding the same results in spite of considerable effort. Some look at endings as opportunities, and they are necessary for new beginnings. The cyclical nature of the number makes it a remarkably interesting digit, especially when exploring dreamscape. The poet, T.S. Eliot wrote, "In my beginning is my end...In my end is my beginning." The number nine may be a numeric symbol of this notion. This may be what your dream is trying to tell you. The interpretation of dreams is a personal endeavor because it is impossible for another person to experience your dreams. In addition, it is impossible to recreate the events in your dreams. If you are asking yourself "What does the number 9 in a dream symbolize?" you may want to look at recent changes in your life and consider if you have come full circle. If things are going particularly well, your dream may indicate you are on cloud nine. Learn about numerology number meanings for more ideas for interpreting your dreams.